Our global Cervical Cancer-Free Coalition website is launching on May 27 2013, during the Global Cervical Cancer Summit at Women Deliver. If you are involved in a national coalition focusing on cervical cancer prevention in your country, please let us know. We would be happy to work with you to develop your own CCFC country-level webpage to enable you to share your experiences with national vaccination, screening, or treatment program implementation. This is an opportunity to highlight national lessons learned for cervical cancer prevention. Please contact us if you are interested! 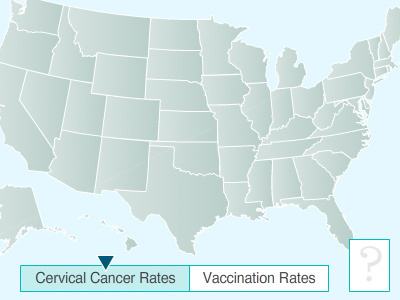 Cervical Cancer-Free America is a collaboration between public health research experts from several Member States. As CCF-America, the team works in partnership to plan and develop optimal ways to dramatically reduce cervical cancer both through state-wide projects and through interventions and education programs within their home states. CCF-America is also planning partnerships with community and government organizations and project advisory committees. Cervical Cancer-Free Coalition and Cervical Cancer-Free America are made possible in part by unrestricted gifts from GlaxoSmithKline, Hologic Gen-Probe, Merck & Co, Inc., QIAGEN, and research grants from The Kate B. Reynolds Charitable Trust, JBS International, and the University Cancer Research Fund at UNC Chapel Hill.